We were invited to a brunch where the hostess made crêpe after crêpe in a 20-year old cast iron pan while we sipped juice from her orange tree and snuck spoonfuls of nutella. 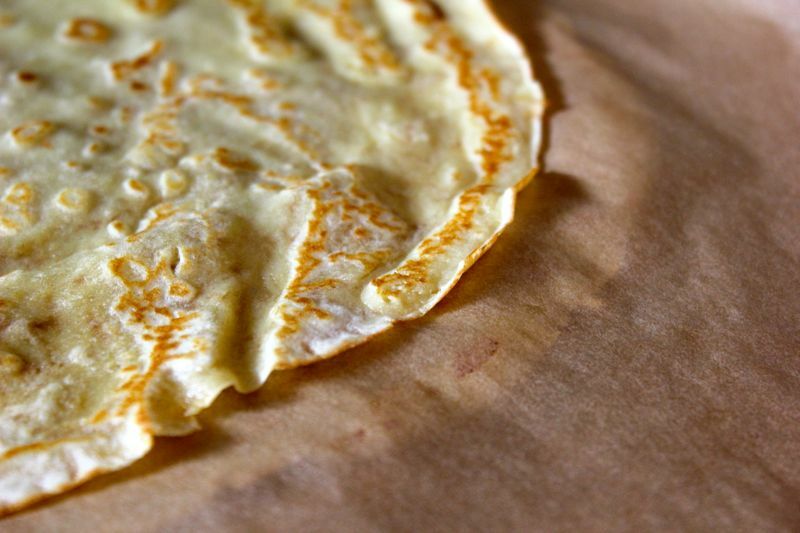 Her crêpes were perfectly round and an even, buttery brown. We all acted like it was no big deal but inside I was panicking. The nonchalance, the fruit tree, the ability to flip lacy pancakes while chatting! All things I lack. 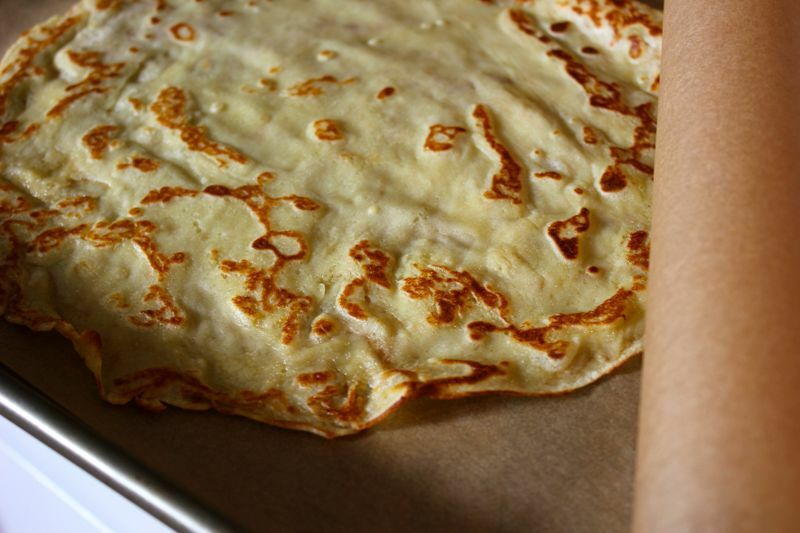 I follow these recipes, make the crepes ahead- they’re easier to flip than pancakes- and stack them between parchment paper for rolling and reheating. There you have it. 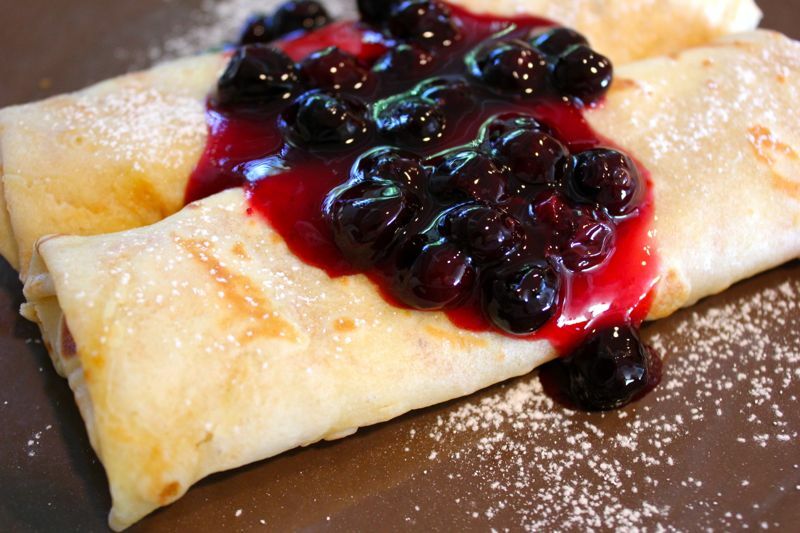 The secret to making crêpes for a crowd. Start early and have plenty of parchment on hand. Sure, no one will be blown away by your epic coolness, but no one will get cranky hungry and double dip in the nutella jar either. Stuff, roll and reheat in a warm oven or microwave. 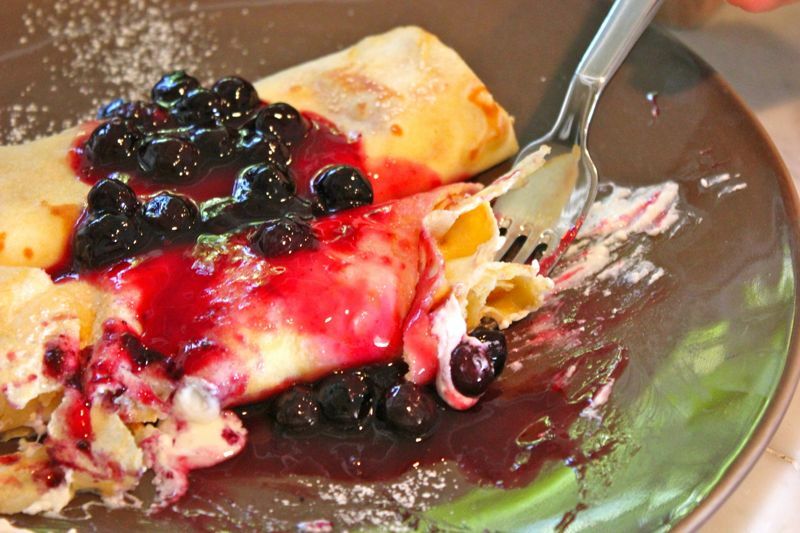 Freeze leftover crepes for up to a month.